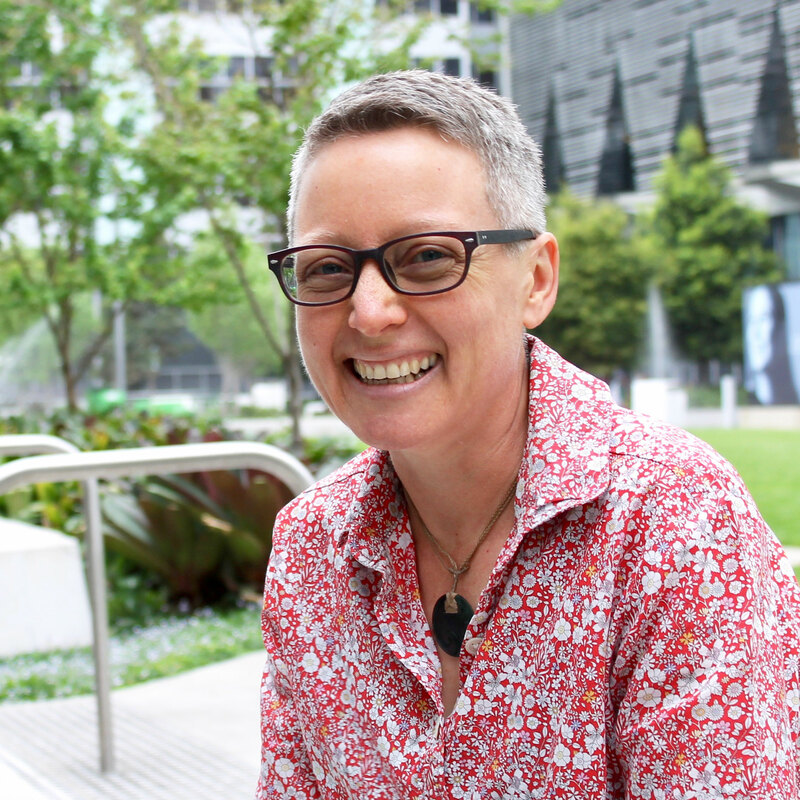 I have recently taken up a position in the Graduate School of Health at UTS, where I am establishing a Masters of Genetic Counselling program. I previously worked at Genetic Health Services New Zealand, as a senior genetic counsellor. I was also a clinical lecturer for Otago University Wellington. I have held several positions with the Australasian Society of Genetic Counsellors (ASGC) and the Human Genetics Society of Australasia (HGSA) during the past ten years. I chaired the ASGC between 2014-2016, and am currently a member of a working group that is preparing an application for self-regulation of genetic counsellors through NASRHP. I was the chair of the HGSA Board of Censors in Genetic Counselling during the period when the training and certification guidelines underwent a substantial review, and was involved in the accreditation of Masters of Genetic Counselling training programs. I am currently the honorary secretary of the HGSA. I have a particular interest in education, training and supervision. I was a member of a Health Workforce NZ Science and Technical Workforces Working Group, which looked at models of training for allied health and technical workforces. More recently, I have completed a post-graduate certificate in professional supervision. My research interests include genetic counsellor education and training, as well as understanding more about the ways in which genetic counsellors roles are evolving. McEwen, A. (2015). “I just did it for the kids”: Mothering in the context of living with an increased risk of breast and ovarian cancer. In Lisa Raith, Jenny Jones and Marie Porter (eds) Mothers at the Margins: Stories of Challenge, Resistance and Love. Cambridge Scholars Publishing. McEwen, A. (2013). A Genetic Counsellor’s perspective on facing an unexpected diagnosis: loving Michael and letting go. In Vicki Culling (ed) Holding on and Letting Go: Facing an unexpected diagnosis in Pregnancy. Vicki Culling Associates, Wellington, NZ. © 2017 National Society of Genetic Counselors, Inc. Genetic counsellors face tensions between past and future identities: between established values and goals, and a broadening scope of settings and activities. This study examines the advent of genetic counsellors in private practice in Australia and New Zealand from the perspectives of the small numbers working in this sector and those who have only worked in public practice. Semi-structured interviews were conducted with 16 genetic counsellors who had experience in private practice, and 14 genetic counsellors without private sector experience. Results demonstrated that circumstantial and personal factors can mitigate the challenges experienced and the amount of support desired by those who had established a private practice, and those who were employed by private companies. Notably, most participants with private sector experience perceived themselves to be viewed negatively by other genetic counsellors. Most participants without private sector experience expressed concern that the challenges they believed genetic counsellors face in private practice may impact service quality, but wished to address such concerns by providing appropriate support. Together, our results reinforce that participants in private and public sectors are strong advocates for peer support, multidisciplinary team work, and professional development. These core values, and seeking understanding of different circumstances and support needs, will enable genetic counsellors in different sectors to move forward together. Our results suggest supports that may be acted upon by members of the profession, professional groups, and training programs, in Australia, New Zealand, and overseas. Gamete and embryo donors undergo genetic screening procedures in order to maximise the health of donor-conceived offspring. In the era of genomic medicine, expanded genetic screening may be offered to donors for the purpose of avoiding transmission of harmful genetic mutations. The objective of this study was to explore the attitudes of donors and recipients toward the expanded genetic screening of donors.Qualitative interview study with thematic analysis, undertaken in a tertiary fertility centre. Semi-structured in-depth qualitative interviews were conducted with eleven recipients and nine donors from three different cohorts (sperm, egg and embryo donors/recipients).Donors and recipients acknowledged the importance of genetic information and were comfortable with the existing level of genetic screening of donors. Recipients recognised some potential benefits of expanded genetic screening of donors; however both recipients and donors were apprehensive about extended genomic technologies, with concerns about how this information would be used and the ethics of genetic selectivity.Participants in donor programs support some level of genetic screening of donors, but are wary of expanding genetic screening beyond current levels. Eastwood, A, Webster, D, Taylor, J, Mckay, R, McEwen, A, Sullivan, J, Pope-Couston, R & Stone, P 2016, 'Antenatal screening for aneuploidy--surveying the current situation and planning for non-invasive prenatal diagnosis in New Zealand. ', The New Zealand medical journal, vol. 129, no. 1429, pp. 57-63. To gauge clinical opinion about the current system and possible changes as well as providing a forum for education about Non-Invasive Prenatal Testing (NIPT).A series of workshops for doctors and midwives, supported by the National Screening Unit of the Ministry of Health and the Royal Australian and New Zealand College of Obstetricians and Gynaecologists, were held in the main centres of New Zealand. Following a brief education session, a structured evaluation of current screening and future possibilities was undertaken by questionnaire.One hundred and eight maternity carers participated in 5 workshops. Over 40% identified barriers to current screening. More than 60% would support NIPT in the first trimester. The majority of carers provided their own counselling support for women.The survey has shown general enthusiasm for the introduction of publically funded NIPT into prenatal screening in New Zealand. Barriers to utilisation of the current system have been identified and enhancements to screening performance with guidelines around conditions to be screened for would be supported. The development of standards for training and certification is essential to the credibility and integrity of a developing profession. Training and certification of genetic counselors in Australasia has undergone a detailed review during the past few years, resulting in changes to the way certification is obtained. This paper presents an overview of the process of developing a robust training and certification program which reflects the social and cultural environment of genetic counselors working in Australasia. A brief history of the development of the profession in Australasia is provided, followed by a detailed discussion of the recent development of Masters programs and a portfolio of work required for certification. The importance of consultation within the profession and with our colleagues in the field of human genetics is considered, and we provide a discussion of defining moments that occurred during the review. This paper is intended to provide a detailed description of genetic counselor training and certification in Australasia. We anticipate that our insights into the process of redevelopment of training and certification guidelines may be helpful for genetic counselors working in countries where certification requirements are being developed. Harper, SJ, McEwen, AR & Dennett, ER 2010, 'Immunohistochemical testing for colon cancer--what do New Zealand surgeons know? ', The New Zealand medical journal, vol. 123, no. 1325, pp. 35-40. AIM: 8-12% of colorectal cancers are associated with genetic syndromes. The most common of these is Lynch syndrome (also known as Hereditary Non-Polyposis Colorectal Cancer). Clinical criteria (Besthesda criteria) exist that can be used to identify colorectal cancer patients who may benefit from immunohistochemical screening of their tumour for Lynch syndrome. Treating surgeons need to know these criteria in order to request appropriate testing. The aim of this study was to assess the knowledge of New Zealand surgeons about the Bethesda criteria. METHODS: We conducted a postal survey of all New Zealand General Surgical Fellows of the Royal Australasian College of Surgeons. RESULTS: Of the surgeons returning surveys 88% knew screening using immunohistochemistry was available; 7% would not refer an abnormal result to a genetic service. Results of the practice based questions showed only 45% of respondents knew that a colorectal cancer diagnosed before the age of 50 was one of the Besthesda criteria. The correct response rates for the rest of the survey ranged from 32-96%. Questions about Lynch syndrome associated cancers returned fewest correct answers. In general, surgeons are poorly informed about cancers associated with Lynch syndrome. CONCLUSION: The study demonstrates limited awareness of the Besthesda criteria amongst New Zealand General Surgeons. Those treating colorectal cancer should be aware of the classic features of Lynch syndrome and test appropriately. BACKGROUND: Women with a germline BRCA1 or BRCA2 mutation have a significantly increased risk of developing ovarian cancer compared with women in the general population and may consider bilateral prophylactic oophorectomy as a risk-reducing option. CASE: We report a case of occult fallopian tube cancer diagnosed at prophylactic surgery in a patient with a BRCA2 mutation. CONCLUSIONS: This report acts as a reminder of the importance of removing as much of the fallopian tube as possible during prophylactic surgery in BRCA1 and BRCA2 carriers and of the need for careful pathological examination of surgical specimens after surgery.